FLQ terrorists bomb the Montreal Stock Exchange, Jan Palach sets himself on fire to protest the Soviet invasion of Czechoslovakia, border clashes occur between the Soviet Union and the People’s Republic of China, 300 students take over the Harvard University Administration building, United States National guard helicopters spray skin-stinging powder on anti-war demonstrators in California, civil rights riots in Curacao, civil rights marches in Ireland, a group of Amerindians seizes Alcatraz island for 19 months, and anti-war demonstrations are held across the U.S. The secret bombing of Cambodia begins, the first withdrawal of U.S. troops from Vietnam, publication of photos from the My Lai massacre, and the first draft lottery in the U.S. since WWII is held in the U.S. 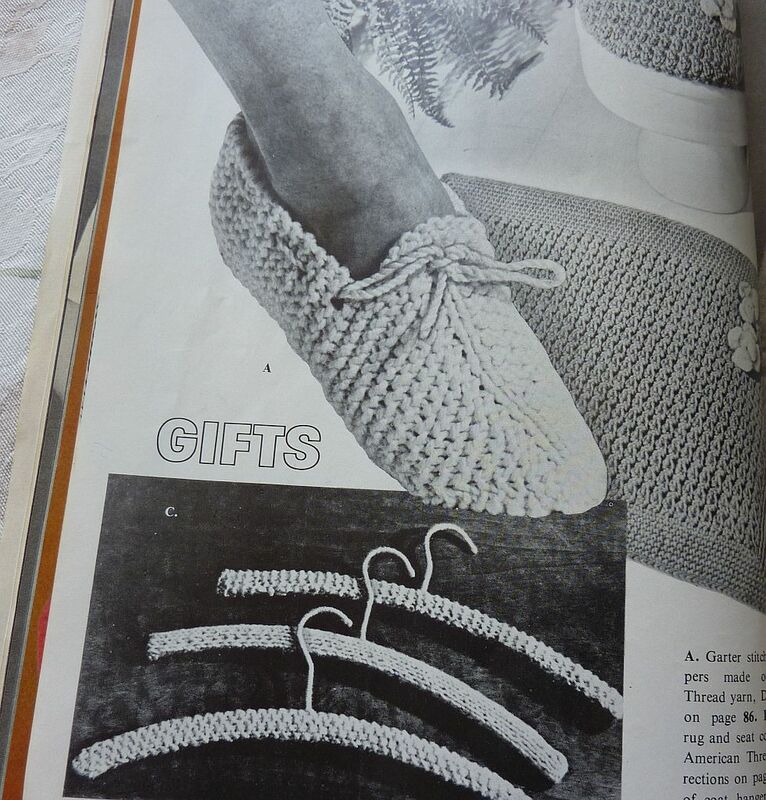 This entry was posted in Uncategorized and tagged history, knitting, vintage. Bookmark the permalink. 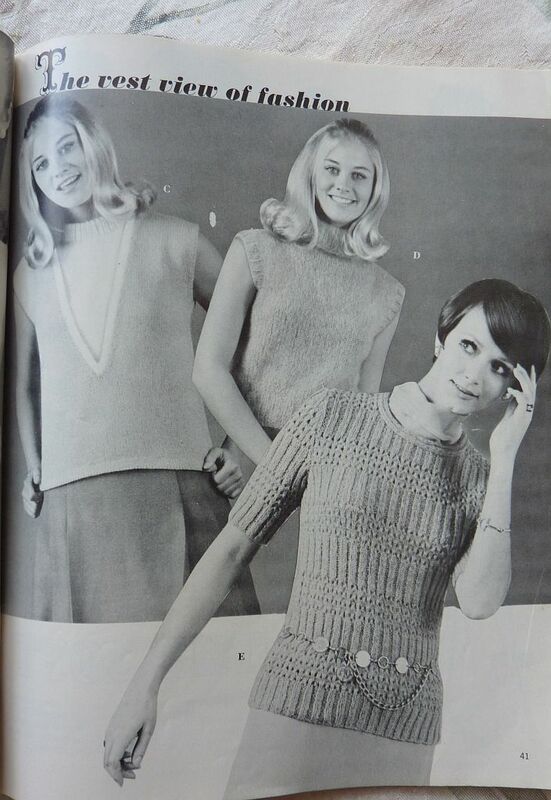 I learned how to knit in the summer of ’69. (I was seven years old.) 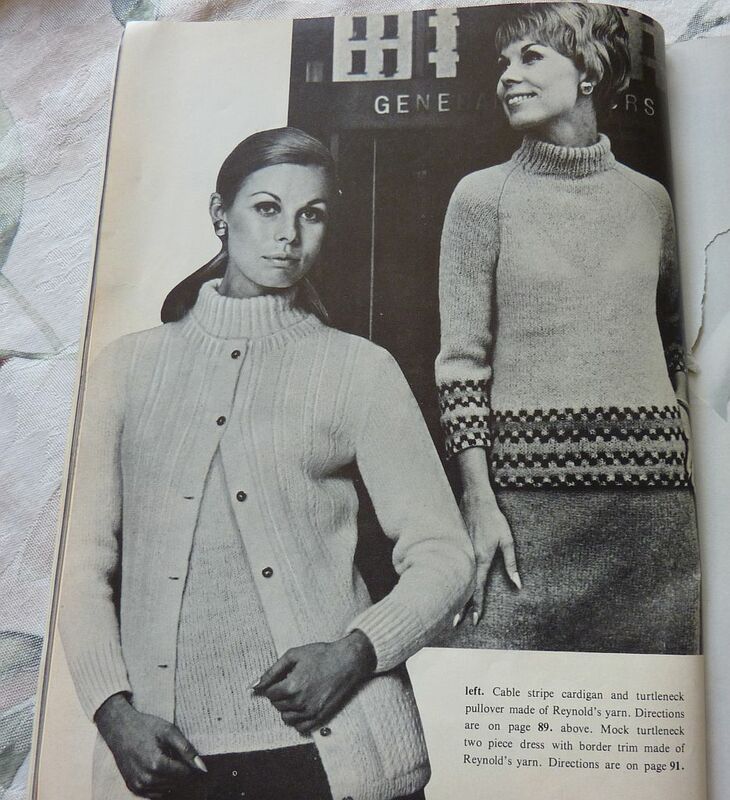 It really took—-I have knit almost every day since. You’re talking about my era. I was aware of much of this list as it happened. I marched against the war Vietnam, as we suspected expansion of the war, and we march against the draft and for our right to vote. I saw Led Zeppelin and Blind Faith in concert, as well as dozens of other great groups of the decade. 1969 was a very memorable year in my life. I was a high school student in 1969 and remember living through these events. 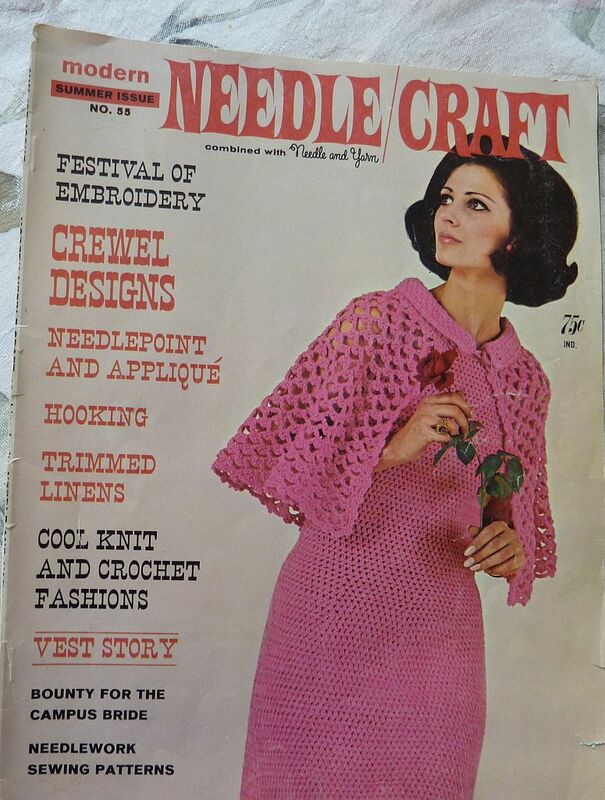 I also remember needle craft magazine. 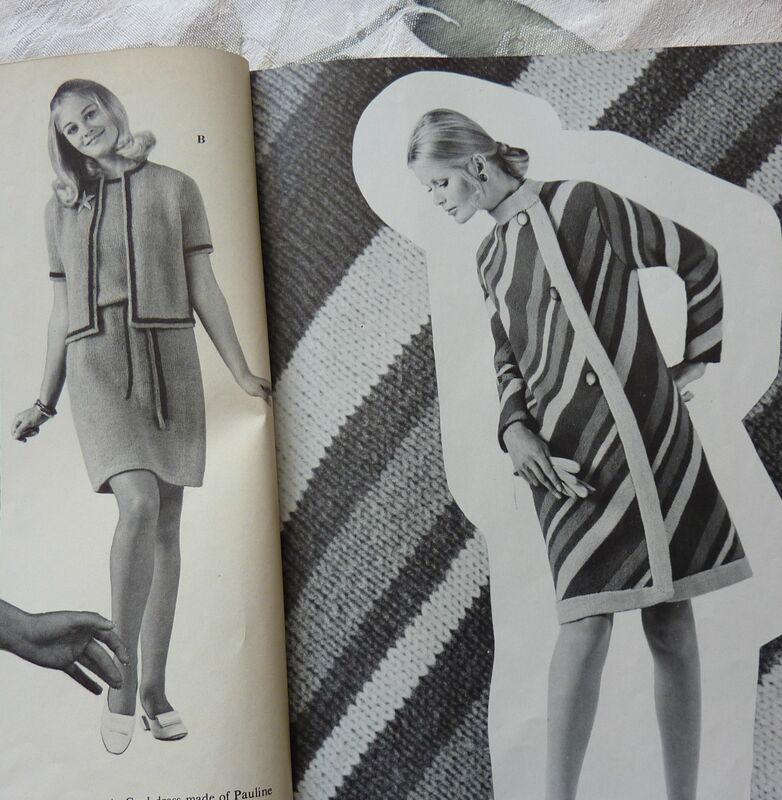 My Grandmother and I were knitters…she knit sweaters, mittens and hats and I knit long, multi-colored scarves. 1969 was the year I learned about the numbers changing on the years. I distinctly remember being confused as to why we change the year number in the middle of the school year. I also distinctly remember the teacher being frustrated by my inability to just accept it! She was probably wearing one of those sweaters! I only remember Sharon Tate and the moon landings. My dad INSISTED I watch the moon landing with him – on our tiny 13 inch black and white TV. Rats. Why can’t I post gifs?